Wadax products are developed and manufactured in Spain and Switzerland, a manufacturing & mechanical precision guarantee. Wadax uses only the highest quality precision components. To ensure quality to such a degree, each unit is hand made by highly specialized and qualified personnel. In each production phase, a quality control process is followed to ensure that the required quality levels are maintained. Once built, each unit is fully tested and is subjected to strict production controls that include several days of operating cycles, before it is delivered to its final destination. 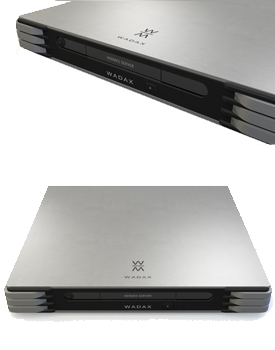 With a product line which ranges from the source to the loudspeaker, every Wadax product has been conceived to operate either in existing installations with other brands and makes or as a full Wadax System Concept, taking full advantage of some of the custom core technologies operating in a controlled environment. The Wadax research team is involved in a constant active process to develop and evolve its core technologies. These technologies and topologies are the basic building blocks applied in Wadax products. Wadax’s commitment to perfectionism in audio playback came originally from the passion and lifetime commitment of its founders, Angel and Javier Guadalajara. Together they represent over 6 decades of experience in extreme audio playback field; design, engineering etc, in constant pursue of a single aim: to transport the listener into the recording session. All Wadax designs share the same aim and soul. From the first design to the latest one, the same spirit can be identified in all evolutions: purity, dynamics, timbre, transparency and most important, musicality. Below is a quick snapshot of some of the evolutions in Wadax technology and performance. Only designs created from the end of the 80s are shown, although there are some peculiar designs starting on the 70s. During the last decade we have been witnessing big changes in the source part of the playback chain; initially, it seemed to be a generational transition of formats between LP, CD, SACD and DVD-A. Arguments delivered by the industry to promote the change were based on improved audio quality, features and format convenience. 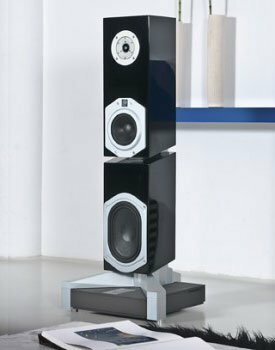 If the arguments employed were true and were also aligned with user needs, the specialty audio market would only be supporting SACD and DVD-A by now, but reality at present is quite distant from this. So, there is probably something missing in the original equation. What can be seen today is a scattered market, with some manufacturers embracing the LP harder than before, others whose CD player models are being substituted in favor of SACD or multi-standard disc players. 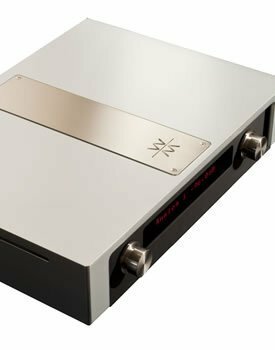 As observers, we decided a few years ago to bring the audio source inside Wadax Fundamental Research programme and destile the essence that makes those manufacturers embrace the LP, or those that are migrating to SACD or DVD-A. Our target was to deliver a source whose quality could surpass those other sources currently available, together with the format convenience of the latest digital media. The Wadax team studied and analyzed every one of the parameters that play a part in sound reproduction, distilling what is critical from what is merely important, what is mportant from what is not relevant. We started as explorers, in search of perfect audio reproduction and listening experience and continue to be pioneers, still true to our aim. As a result, several core technologies, processes and topologies have been developed; some of which are new developments thanks to state-of-the-art enabling technologies, and others that are refinements of the original concepts applied during this 20 year evolution and our pursuit of performance perfection. The Wadax research and development team works in engineering and musical terms, finding ways to create and develop extreme performance systems. But if only the performance factor were considered, the resulting product might well sound great, but may not adequate for domestic use in different home environments. This is where the Ochoa y Diaz-Llanos Studio comes in. From usability, integration into home environment, user-experience, and down to manufacturing, the point at which their work merges with Wadax R&D team. A synergy that multiplies strengths and ultimately, after hours of tests and prototypes, comes up with a unique product that offers the best of all possible worlds.